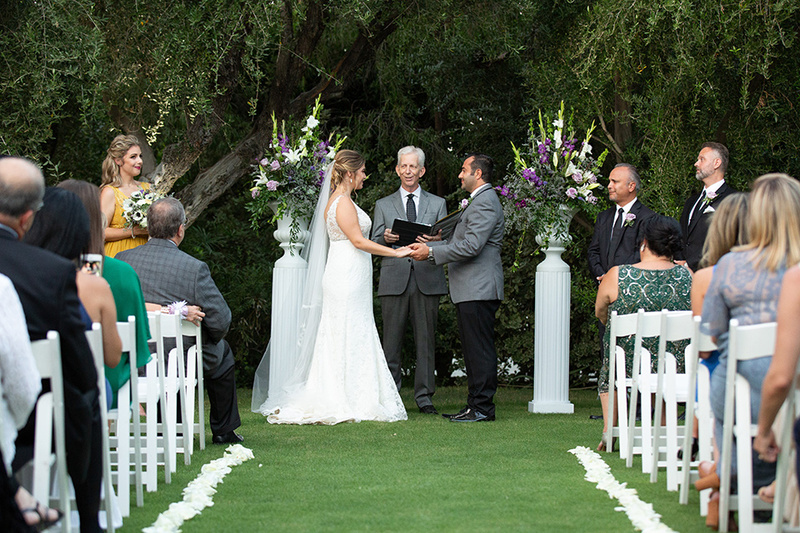 Looking for a wedding venue that is out of the box and non-traditional in the best way possible? 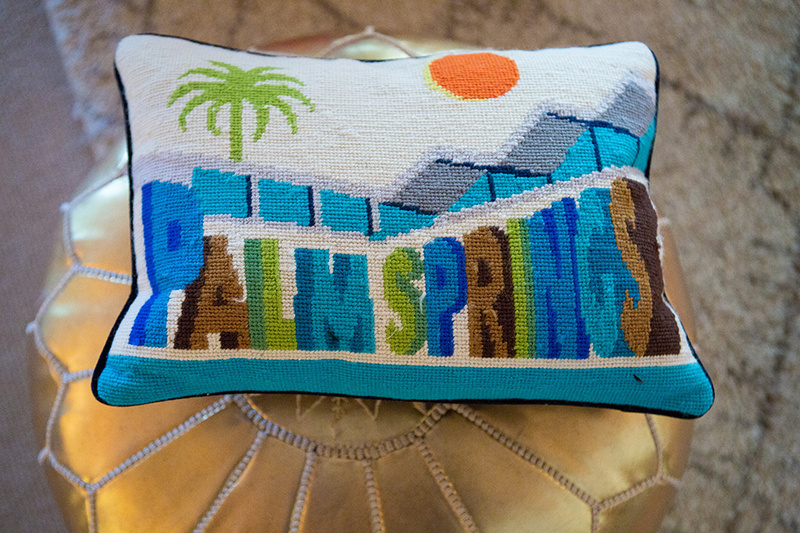 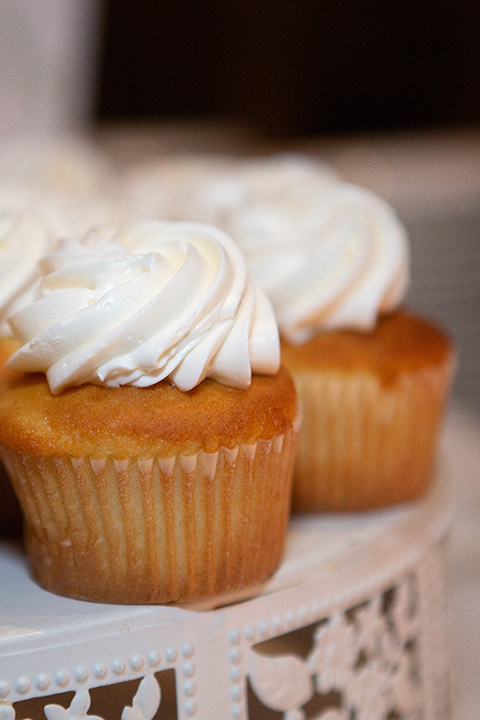 Head over to the wondrous Parker in Palm Springs! 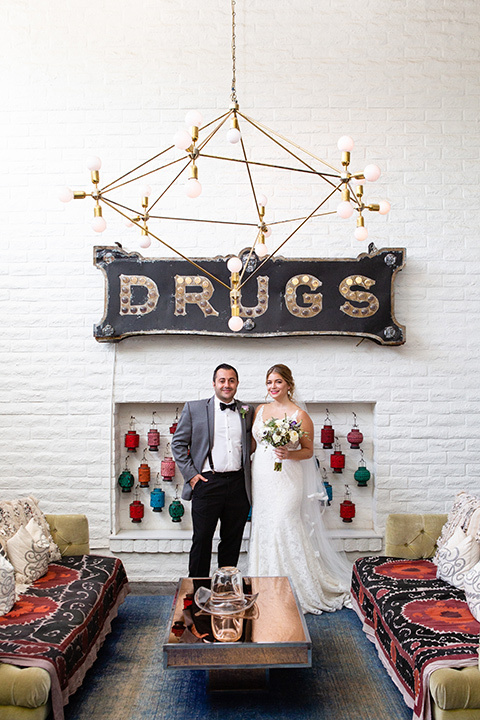 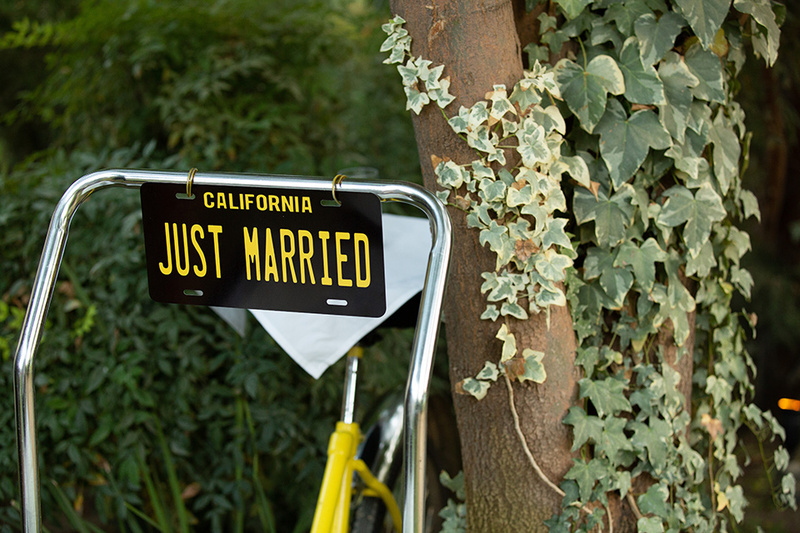 This venue has everything the eccentric and fun couple would want for their big day! 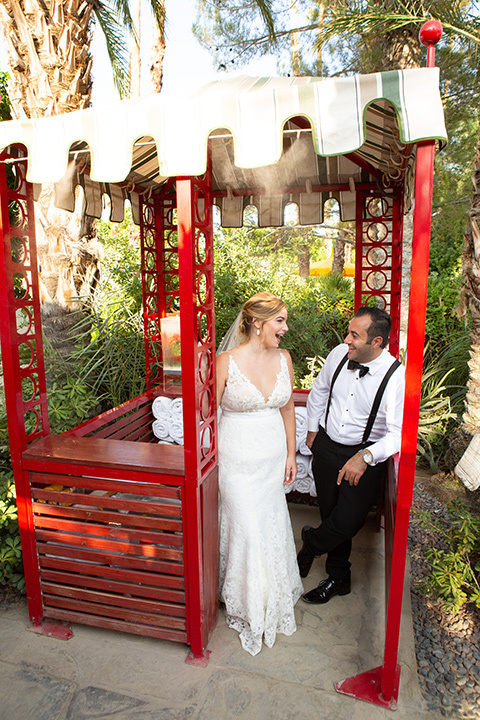 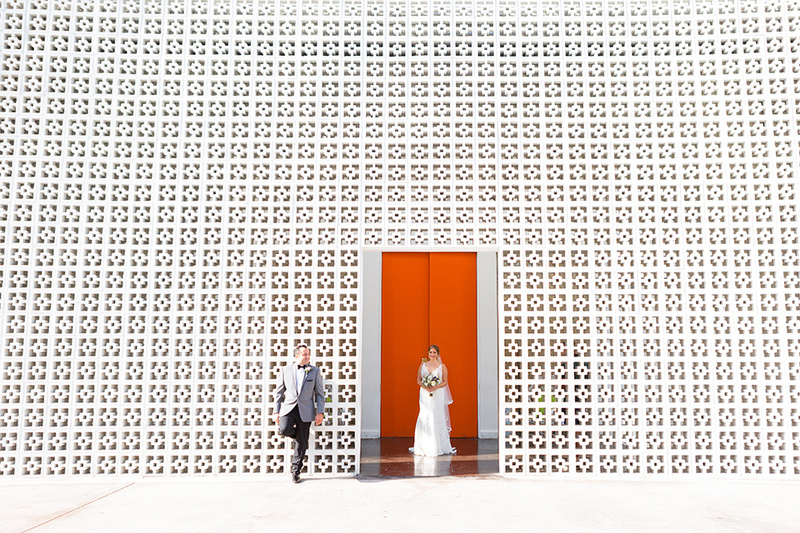 The colorful rooms, whimsical gardens, and exciting architecture features makes this a guest’s (and photographer’s) dream wedding location! 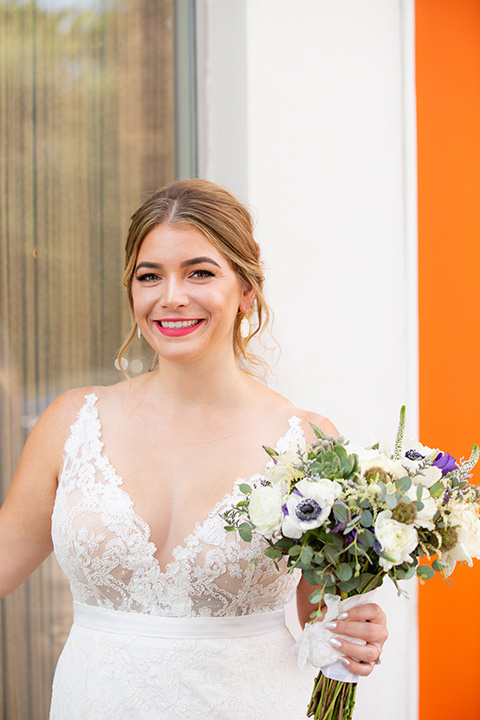 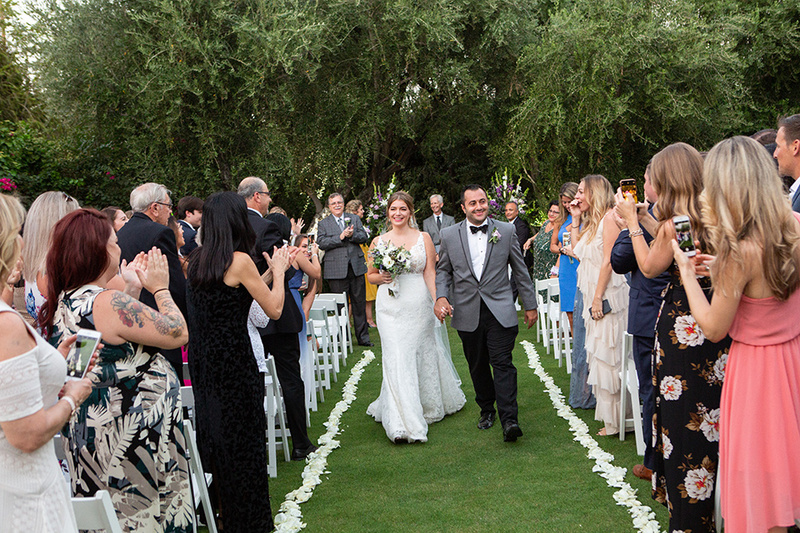 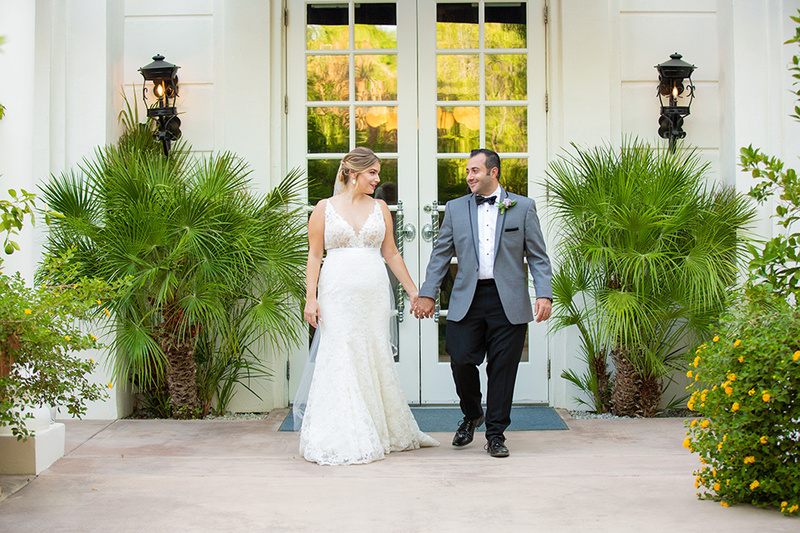 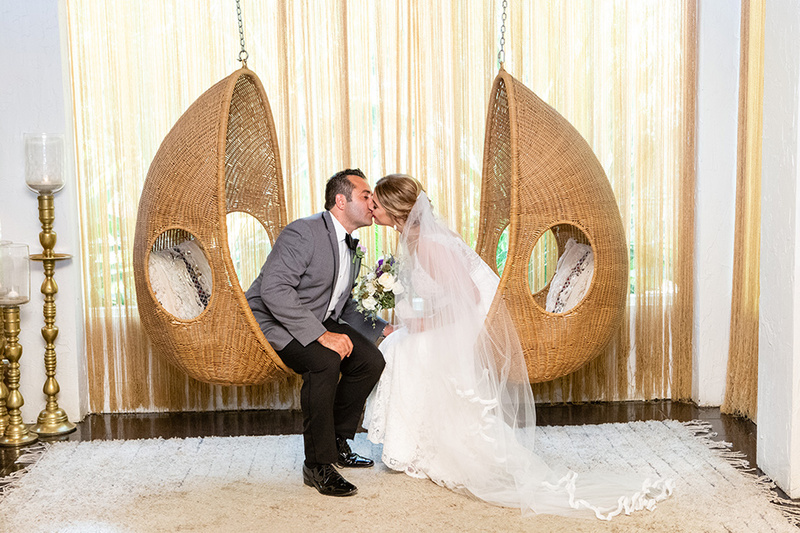 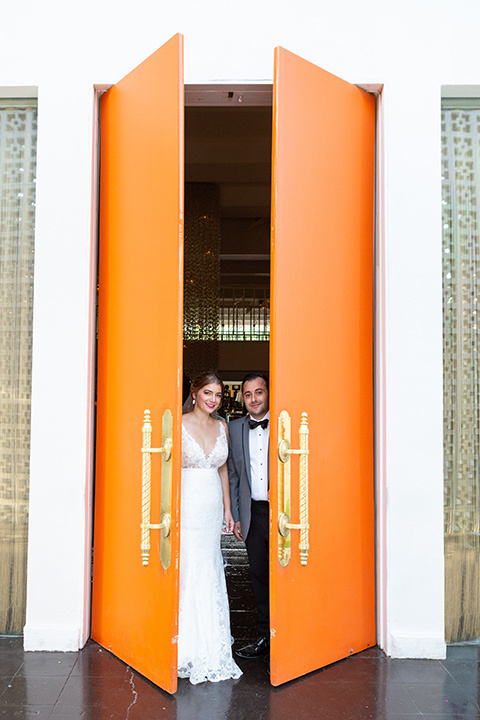 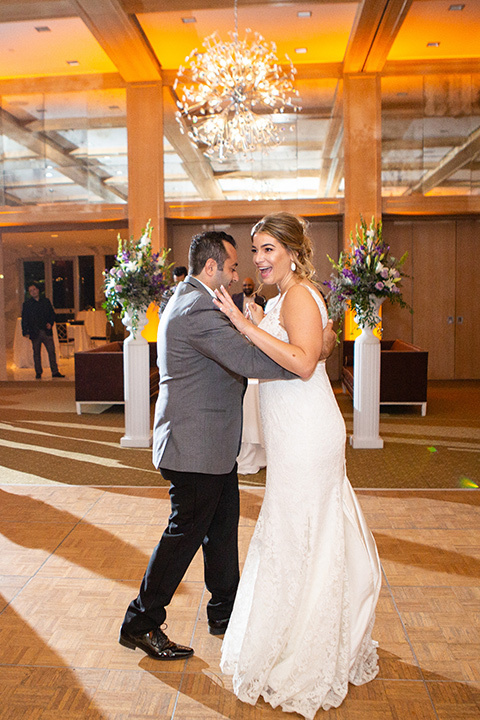 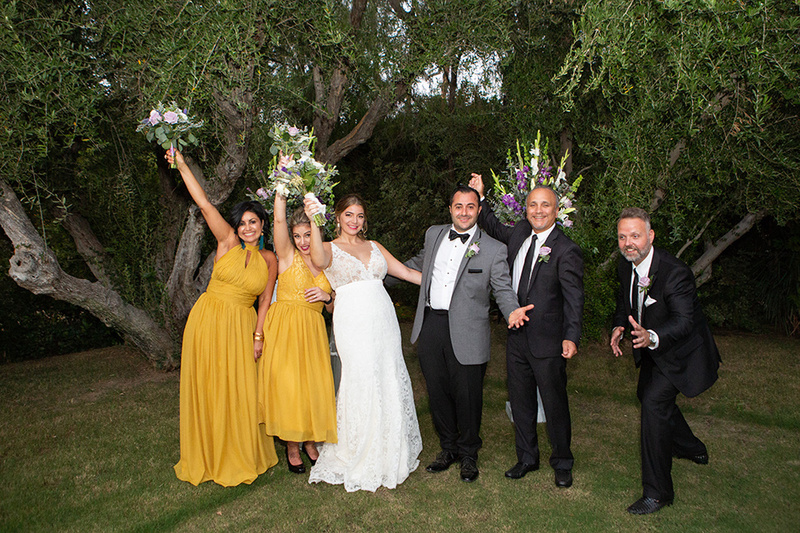 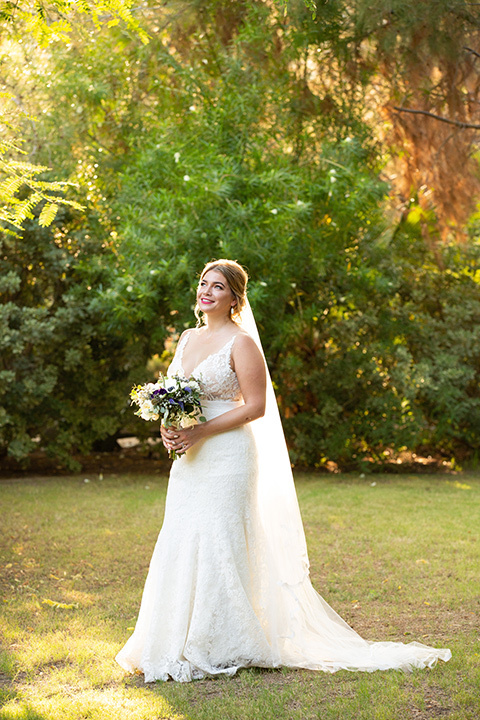 We love how Angela + Jack brought the fun and flair to their big day! 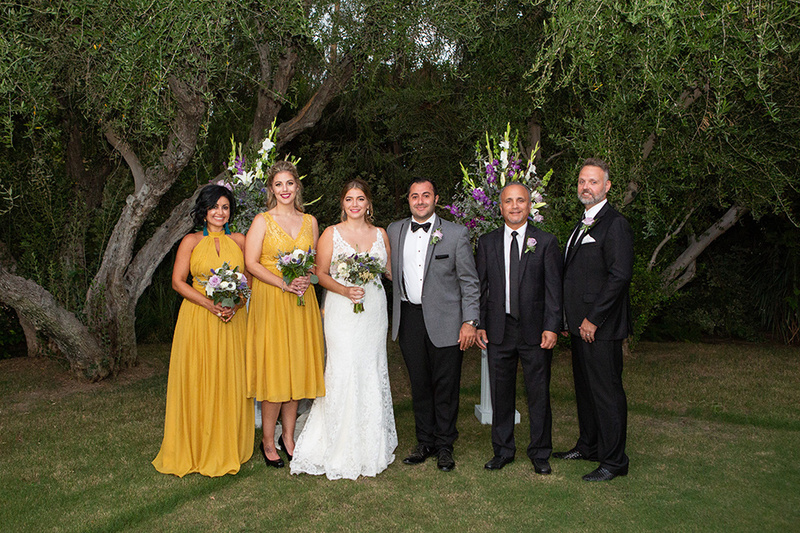 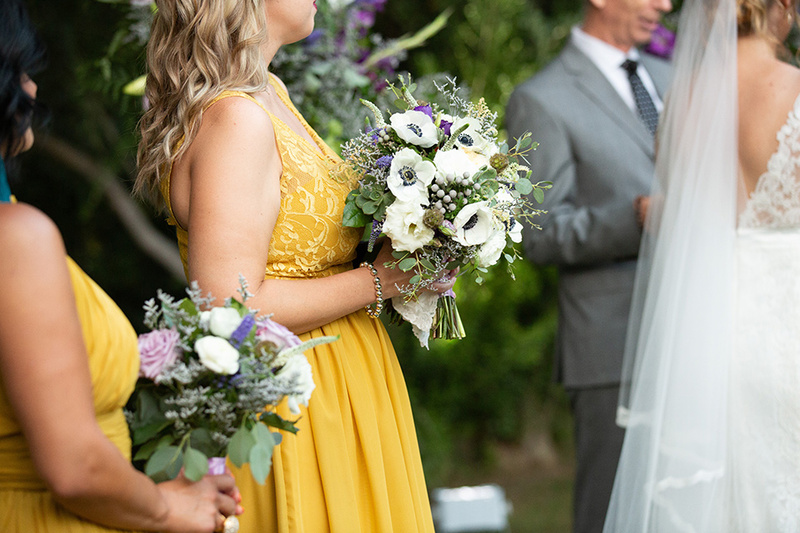 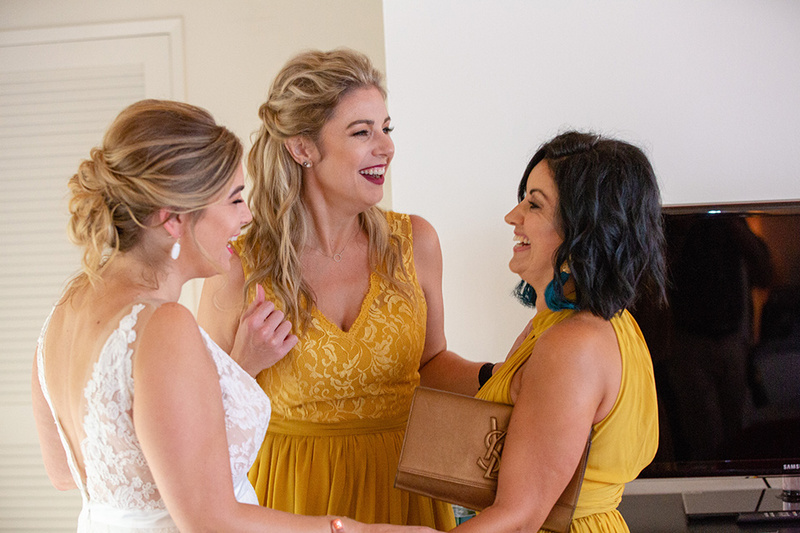 The bridesmaids wore a very chic and trendy yellow color in various dress styles. 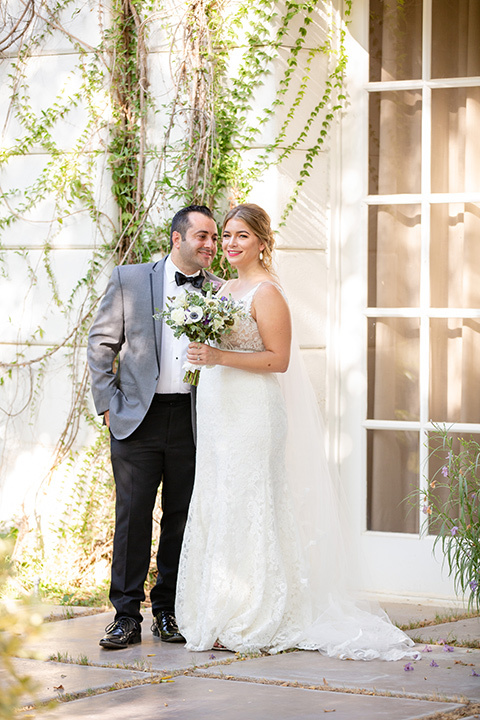 While the bride wore a white form fitting gown with lace detailing on the bodice and veil. 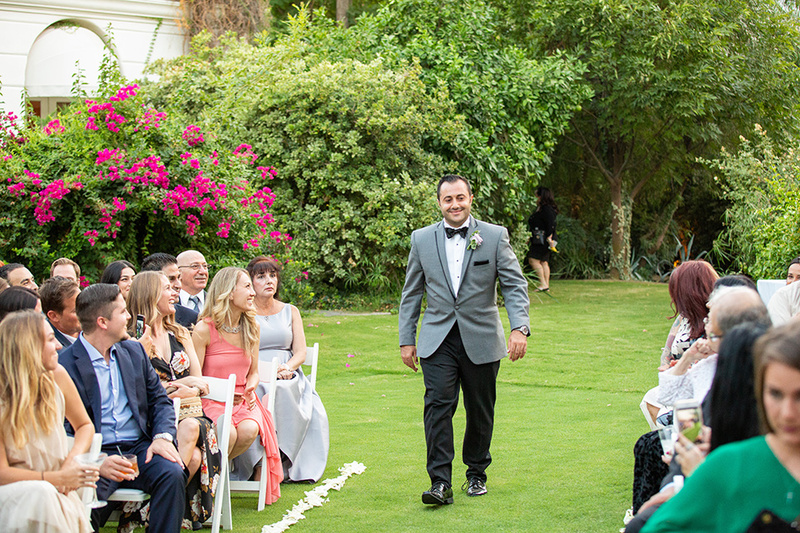 The groomsmen wore black tuxedos with classic black ties, while the groom wore a retro inspired grey tuxedo with black pants, suspenders, and bow ties. 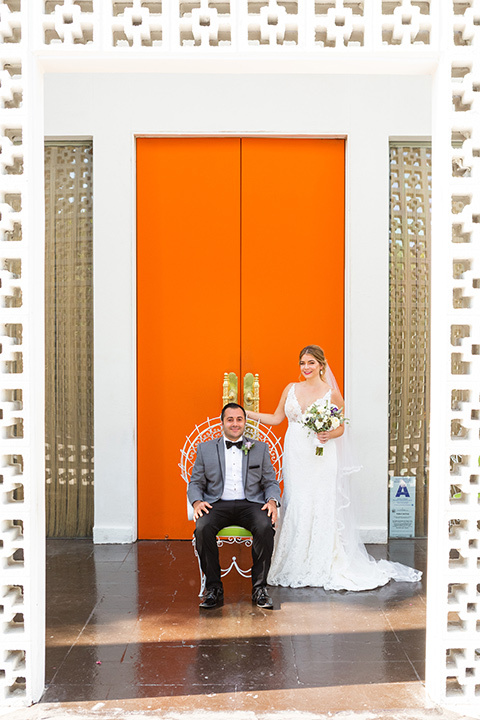 This is a great look for the space and theme of the wedding, the groom’s look as a whole feels modern and stylish while still looking retro and very ‘Palm Springs’. 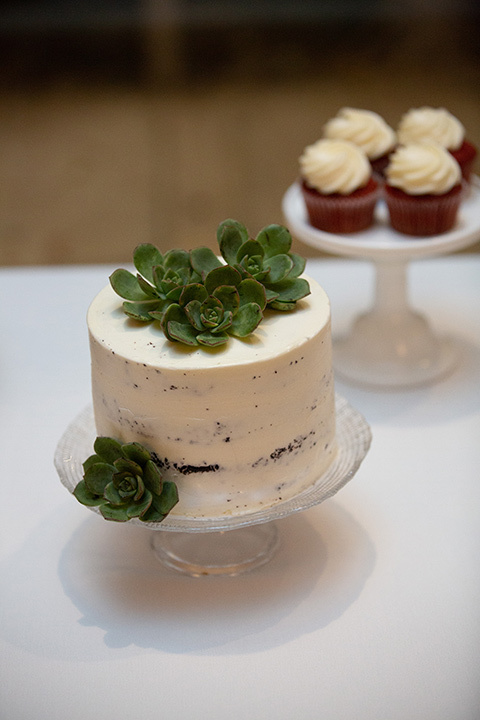 Also can we talk about how adorable their favors were!? 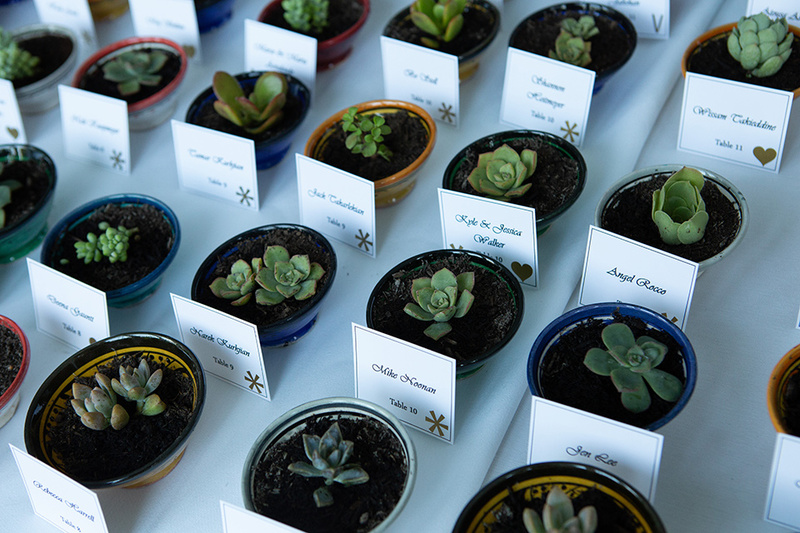 Anyone who gives us a succulent to take home is a wedding winner in our book!